Our lead planner and designer, Jade, graduated from Texas A&M University with a degree in Psychology and a minor in Business. Her degree taught her about building relationships and the importance of staying organized in all life's moments. After all, the magic is in the details. 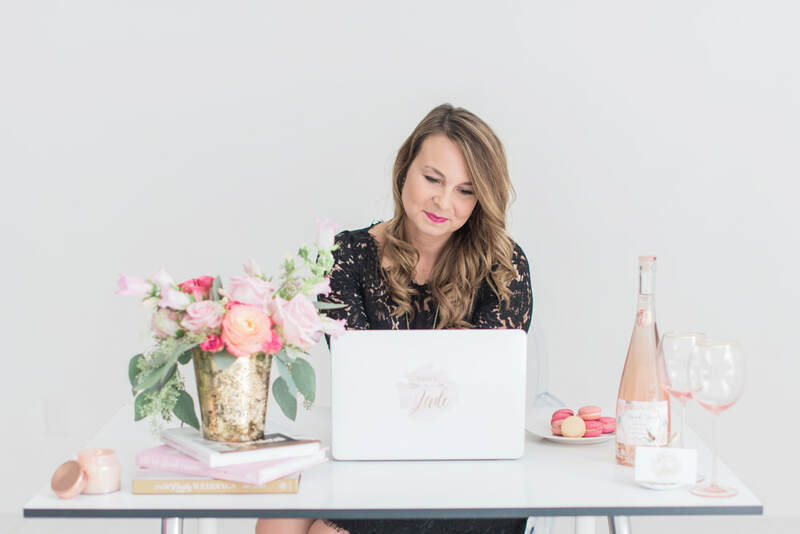 She successfully worked for a Fortune 100 company for many years, honing her skills in management and networking that she now utilizes to make people’s dreams come true, one event at a time. Jade has a natural, God-given talent for organizing, planning, and helping others. The oldest of four daughters, she learned how to lead and coordinate festivities from a very young age. Her vision and creativity make her unique in the industry. She feels blessed to call this her "job". She has received many accolades since opening her business in 2015. She prides herself on being a trained wedding professional by the American Association of Certified Wedding Planners. She has also been featured in many magazines and blogs across the United States. When Jade is not planning spectacular parties and lavish weddings, she is devotedly raising her two beautiful children and spending time with her loving husband, Marc. Fun Quote - "All I need today is a little bit of coffee & a whole lot of Jesus."